Farmers Daughter Foxy Lady stands out in a room full of hand dyed yarns. 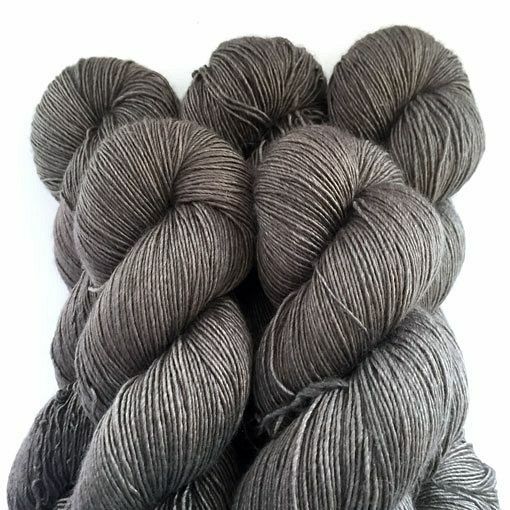 There is something about the depth of color that the single ply, superwash merino and silk blend radiates that makes it outstanding. 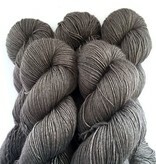 Speaking from experience, this yarn has more than just looks! The stitch definition, drape and feel as you work with it will keep you totally engaged and looking for more projects that you can use it for. 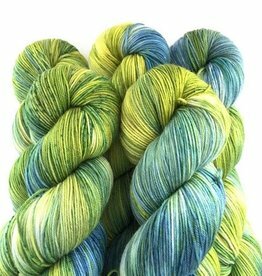 As with all single ply yarns, the colors are totally saturated and amazing.